Project architect Brian Cavanaugh of Architecture Building Culture chose a solid wood stringer and treads to conceal the staircase’s steel angle brackets. The baluster screen is made of simple 2x4 planks that have been painted white. In Seattle, a family of four Australian expats asked studio Architecture Building Culture to intervene upon the passageway between their home’s main floor and a new family room in the daylit basement. 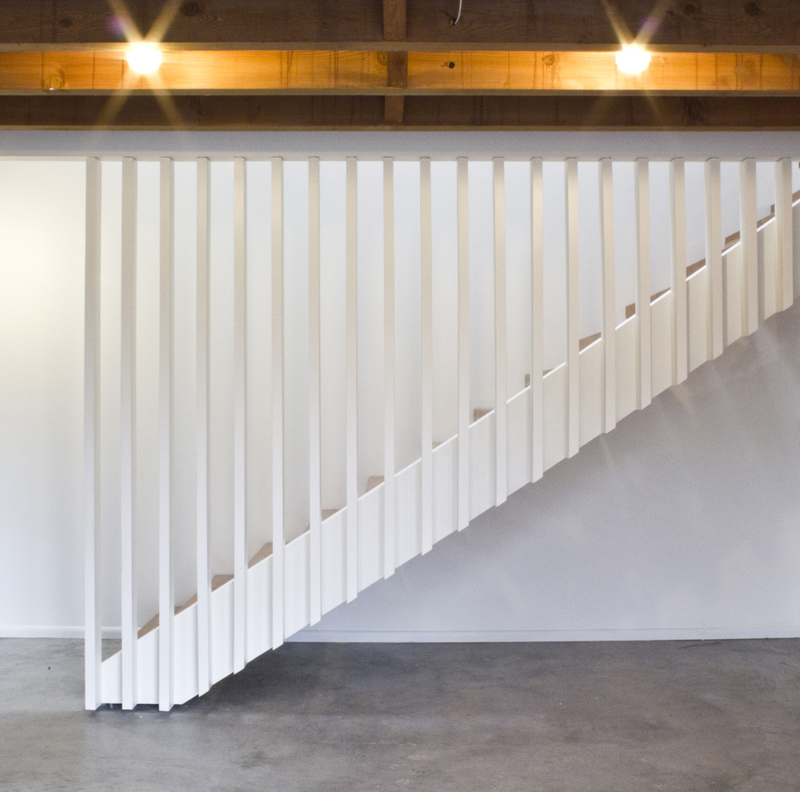 The result, a spare wood staircase with a rhythmic baluster screen, accomplishes their goal with understated grace. The piece floats above a polished concrete floor thanks to a custom pin connection.